Those of you who regularly read What Emma Did will know that I’m pretty much a Manchester girl through and through. 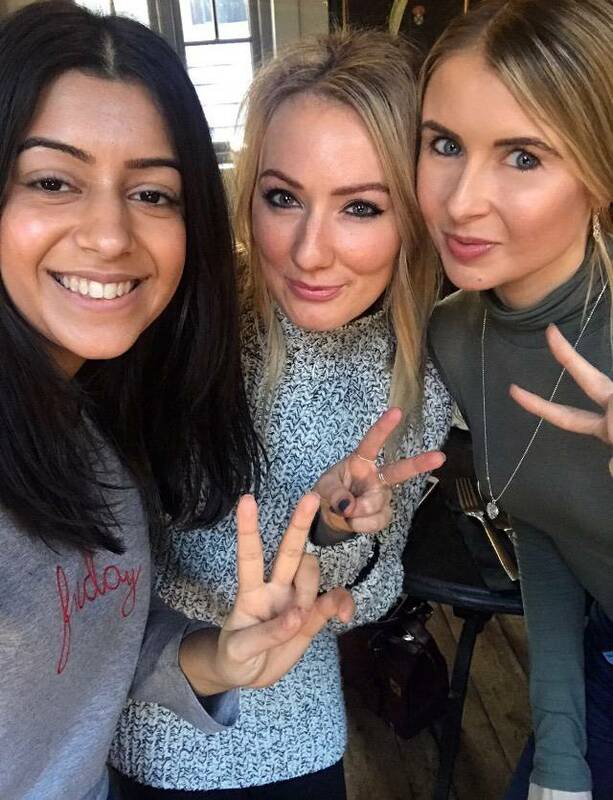 The majority of my restaurant and food reviews are taken from eateries in and around Greater Manchester, sometimes venturing out to other cities when I’m on my travels. 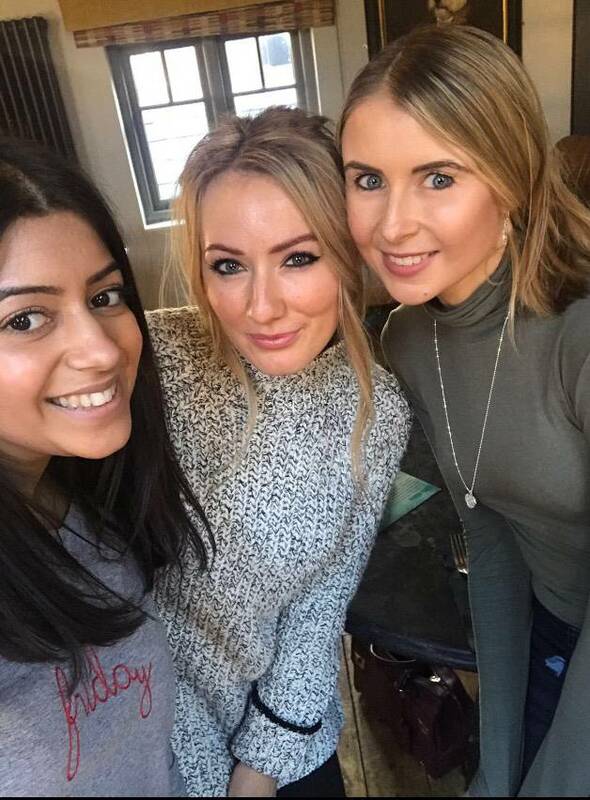 However, with my boyfriend living in Stoke, and working as a Beauty Editor in Cheshire, I’ve started to spend a lot more time around the Staffordshire and Cheshire areas. 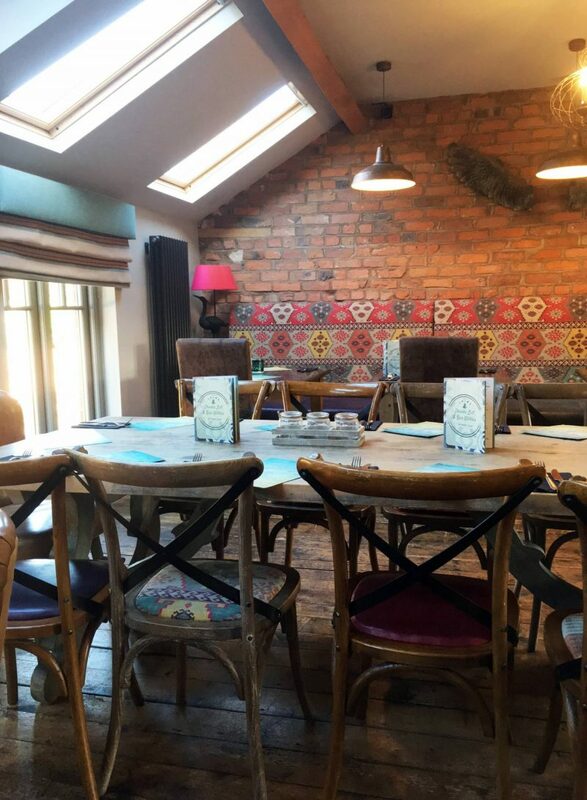 I’ll admit, it’s a little more ‘classier’, no matter how much I truly love Manchester, but I’ve also discovered that around these areas, there’s more cute and cosy country pubs than I’ve ever come across in my built up city. 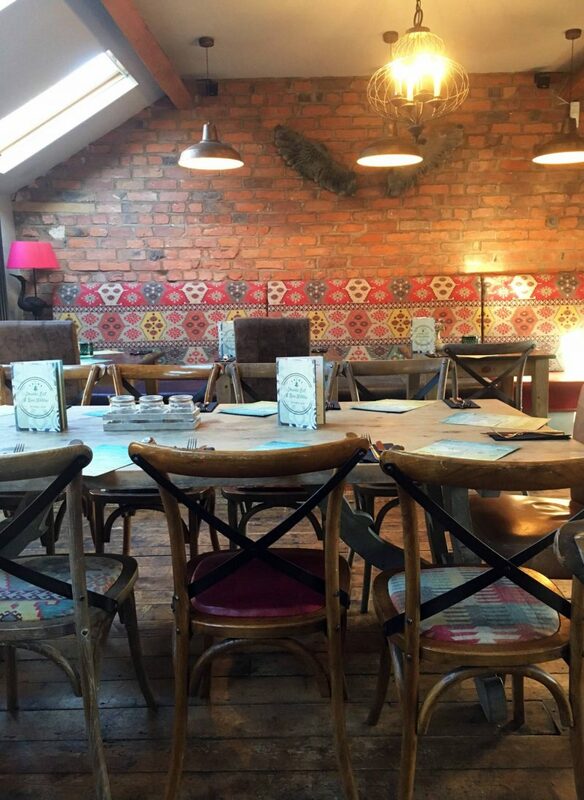 Firstly, the interior is half country cottage inspired, half rustic, with a modern touch. 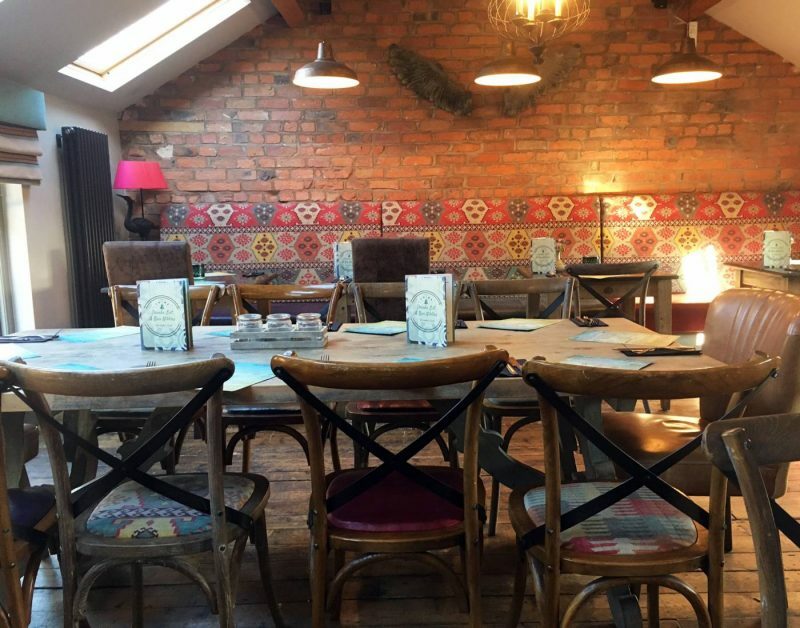 Alongside it’s exposed brick walls, vintage looking wooden floors and old classic art work, there’s a strong colourful interior theme running through, with almost Moroccan/Arabic designs which really warm the place up and give it that unique vibe. We were taken upstairs, which is styled as a cute loft style interior space, with skylight windows and quirky wall fixtures. I noticed they use the upstairs for private parties and events, and I have to say it’s a lovely room for a gathering. Cute, cosy, but keeping in with that classic Cheshire charm. The menu was extensive which is always a delight to me, as there’s nothing worse than staring at a menu and struggling to pick between a few ‘fairly average’ meal options. 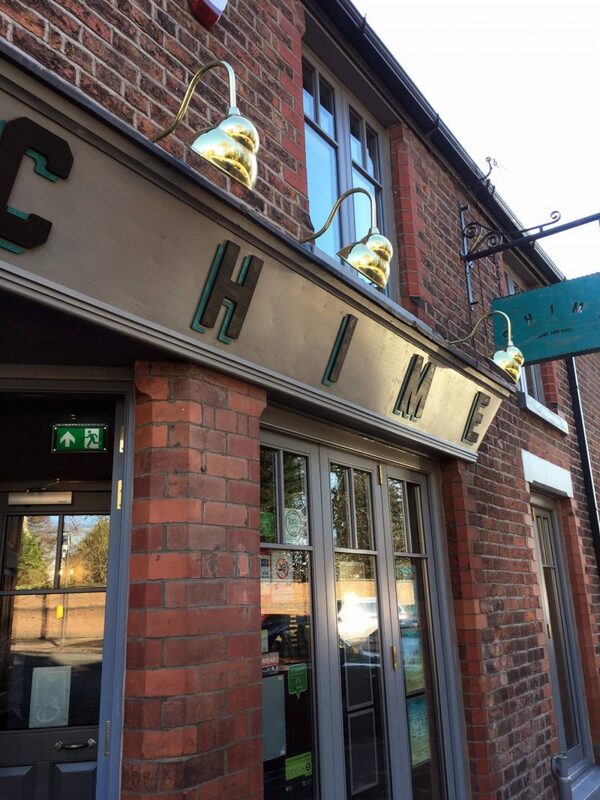 Here, Chime were offering a huge sandwich and skin-on fries list, with a range of fillings much more exciting that a regular BLT, such as roasted pulled pork and mozzarella and minute steak and caramelized onion. My food weakness is pizza – I could eat gooey, cheesy pizzas loaded with fresh toppings all day. But because I try my best to limit my dairy intake (dairy gives me terrible skin breakouts) I skipped the list, but not before spying some delicious options such as Nutter Maddness (garlic butter base, stripped chicken, hoisin drizzle and roasted peanuts) and The Acapulco (signature base, mexican chicken, stir fry veggies and chilli cheese). Scrumptious! 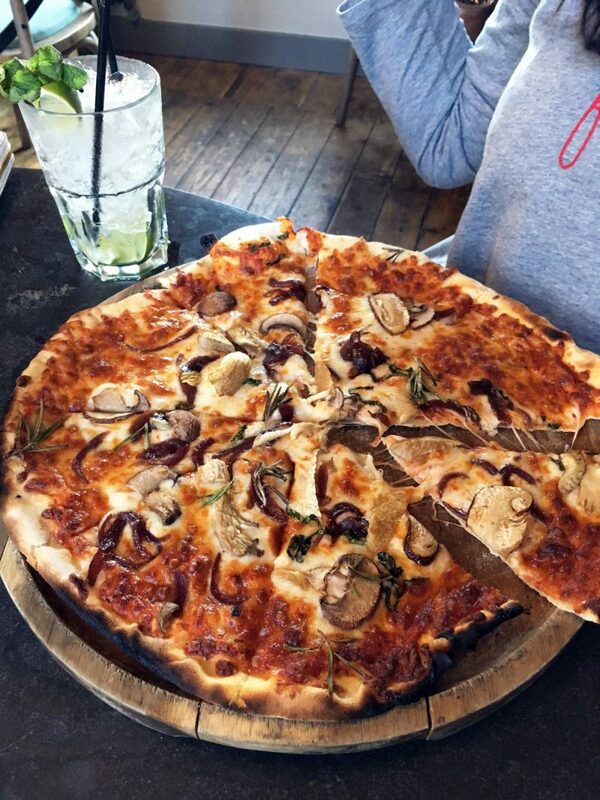 My friend actually ordered a Margarita pizza and added a few toppings on to it herself from the list, making a customised option, which always a great thing to see. The next food options sat under the main meals list, with large choices from King Prawn Linguine to the West Indian Curry. But the food option my friend ordered had to be by far the best. 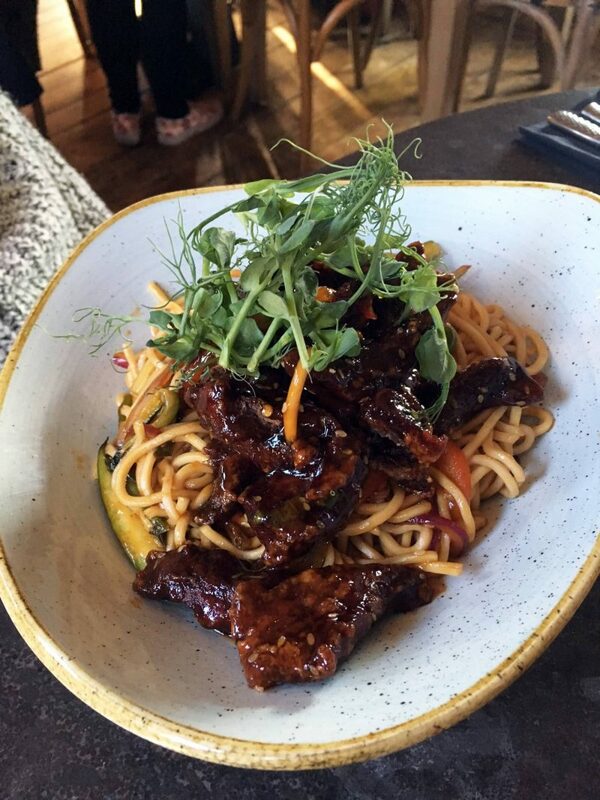 The Crispy Chilli Beef Noodle dish was absolutely divine, and I actually had a bit of food envy, as much as I enjoyed my own dish. 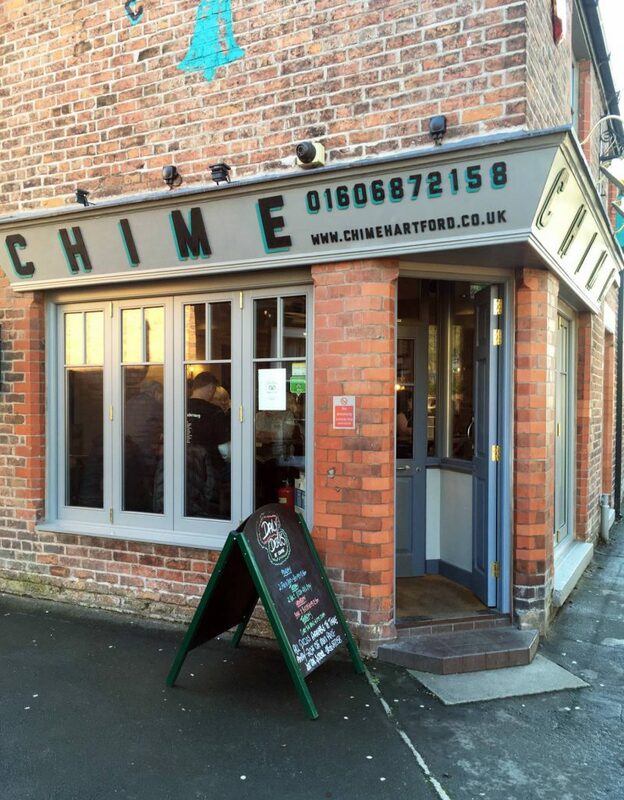 Crispy chilli beef is my all time favourite Chinese takeaway, and before trying the dish at Chime, I thought I’d never experience a dish as delicious as the original Chinese version. Who knows that type of cuisine the chefs specialty is, but that crispy chilli beef dish was amazing. Absolutely out of this world, and it’s rare you’ll get that type of feedback from me! As you can see from the photograph above, my friends pizza was a decent size loaded with toppings. Although, you might notice, there’s a slight touch of burn around the crust from the wood fire oven. I suppose it’s a sign of being cooked I assume! 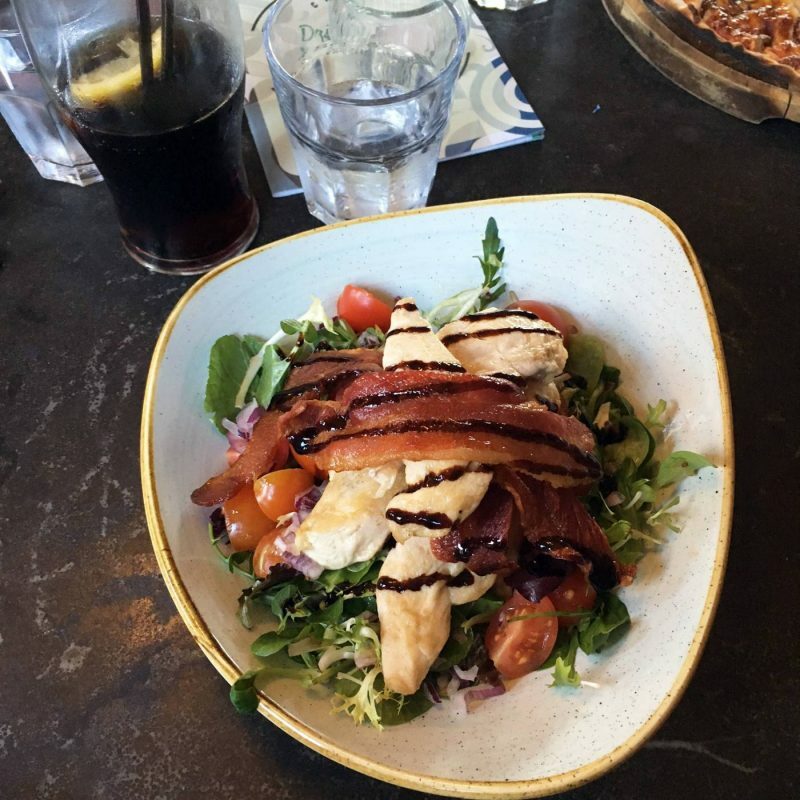 For my meal, I opted for the Chicken and Bacon Honey Mustard Glaze Salad, which came loaded with chicken and long, crispy slices of bacon, drizzled in the tastiest honey mustard sauce. The salad was leafy, mixed with red onions, tomatoes an a sweet salad dressing. I’m never a salad girl. Like ever. And I don’t know what it was that attracted me to ordering one, and I assumed I wouldn’t feel full or satisfied. But this chunky chicken dish was more than filling, it was actually a challenge to finish! In terms of prices, it’s mid-end priced, with sandwiches and chips and pizza meals costing around £8-£10, and main meals at £10-£12. I was genuinely impressed with my visit here. 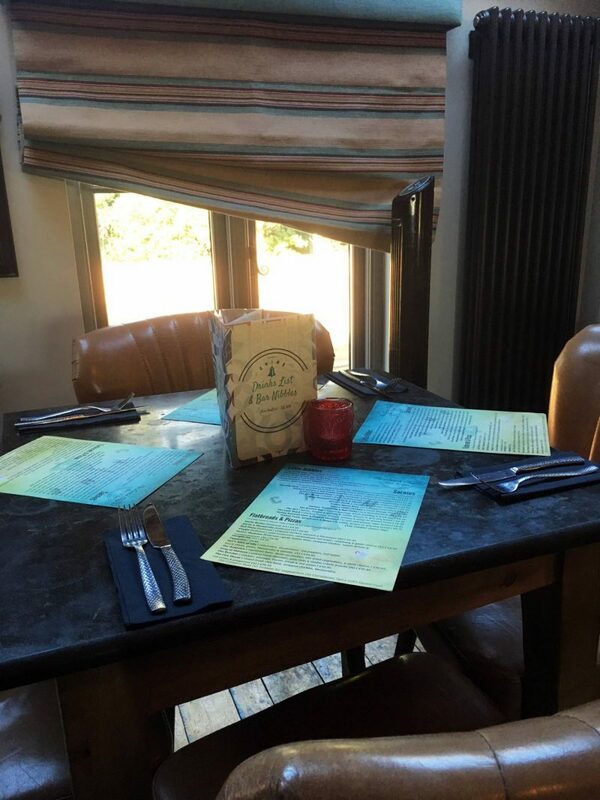 Tasty food, tonnes of choice, warm and friendly ambiance and reasonable prices. 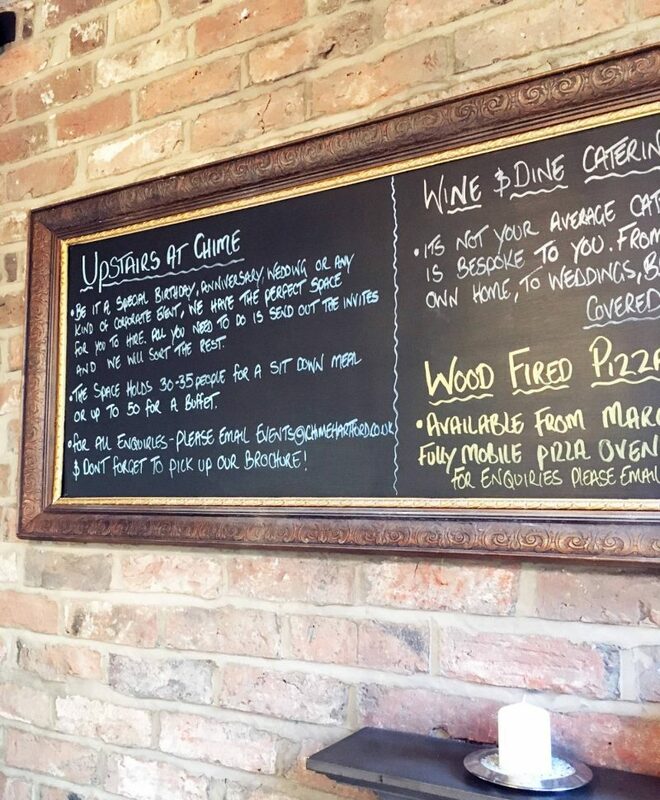 I’d recommend to any other Cheshire diners out there!